Around Christmas-time there are certain bottlings which always come up in supermarket special offers (Glenlivet 18, I’m looking at you…) but showing off those wasn’t the intention of the session, this was about the hidden gems that you may not already know about that are normally good deals, even before the inevitable Christmas discounts appear. The first dram had a meaty edge to its nose with salted caramel, Rolos, light sultana and golden sugar. To taste it was sweet and oily, backed up with black pepper and creamy vanilla, and finishing with light spiciness, green wood and a dry, slightly dusty, edge. A splash of water brought out more fruit in the body, introducing some green apple, and maybe a touch of sweet and sour strawberry. The concealing label came off to show that this was Tomatin 12yo, coming in at under £30 a bottle. 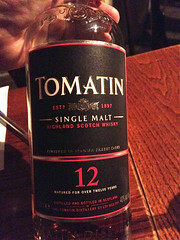 Tomatin’s not got that much love over the years, despite having been a huge producer back in the 1970s, but in recent times they’ve revamped the range and started putting out some very decent whiskies (that I tasted my way through at a TWE tasting last year). On top of that some of their older casks have been bottled by indies to great acclaim, which has had a nice knock-on effect and helped push their OBs, including this solid, unremarkable, 12 year old. It may not change the world but it might turn a few festive visitors onto drinking more interesting whisky. The next whisky had a nose of rum and raisin fudge, malty grain, granola, modelling glue and brandy butter, along with a touch of brine and a hint of baked beans. To taste there was sweet, sour and sappy wood, sweet orange peel, and a hint of woody smoke. It finished with hints of flowers, caramel and balancing sour wood. This one was guessable from the rather unique shape of its bottle and the paper came off to reveal that it was Hibiki 12yo. 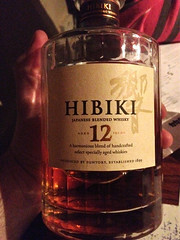 Hibiki 17 is one of my favourite whiskies but I hadn’t had the 12 for years until I was at Maltstock a few weeks back. While the older trumps the younger, at almost double it’s price I’d hope so – the 12 year old comes in at just over £40. The one thing missing from the flavour profile of the 17 that I miss is Mizunara, the perfumed and spicy Japanese oak that Suntory age some of their whisky in. Unfortunately none of that makes it into the 12, but there is some whisky matured in plum wine casks in the mix to give it a little something different. On the nose whisky #3 had, at first, salt and vinegar crisps, causing a small amount of confusion around the room. That faded as it sat in the glass to reveal a more traditional nose of creamy vanilla, along with a bit of pine with water. To taste it was very hot, with vanilla, lemon zest, lightly bitter wood and syrup. The burniness called for water and it revealed more sweetness, with white sugar and a spot of perfumed wood. It finished with sour wood and bitter liquorice root. This was revealed to be Auchentoshan Valinch, said to be a cask strength version of their regular no-age-statement bottling, Classic – although taste tests between watered down Valinch and full strength Classic suggest that the Valinch isn’t quite the same. At just under £40 this whisky is pretty good value anyway, but if treated as a dram that needs a drop of water then it should stretch out for a while longer – the joys of ‘whisky cordial’. Whisky #4 was the first blatantly sherried dram of the night, with a nose of cherries, liquorice, blackcurrant boiled sweets, lime Chewitts and sour fruit. To taste there was rich raisininess, milk chocolate, cinnamon, red apple and a bit of sweet black tea. It finished with brown sugar, sweet wood and a tannic apple skin edge. The label came off to reveal that this was Aberlour 16, coming in at about £40 a bottle. 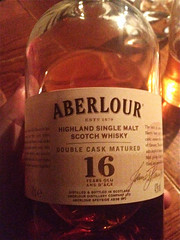 Aberlour are well-known for their love of sherry maturation and this is a more balanced example than some of their drams, with some bourbon cask matured whisky used in addition to sherry. They also do a cheaper 12 year old version, with a similar mix of sherry and bourbon, but this one takes the idea up a notch, giving a well-balanced and obviously sherried dram without going too far. Whisky #5 had a nose of white board markers, PVA glue, maple syrup, sappy and resiny wood, freshly cut deal, sweet pastry and a meatiness behind everything. To taste it was very sweet with herbal notes, brown sugar and liquorice. It finished with cloves, ferns and a big hit of cooked pastry. 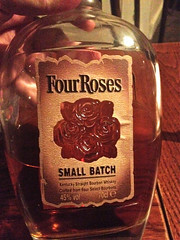 The label came off to reveal that this was Four Roses Small Batch, the cheapest dram of the night at only £25 a bottle. The Four Roses brand has made a bit of a comeback over the last few years, and their regular range of whiskies is impressively well-priced, even in the UK. The Small Batch sits just above the regular Yellow Label in their line-up and punches well above its weight, with both flavour and production story (each bottle comes from a vatting of a small number of casks, as the name suggests, using a mix of four of the ten different yeast/mashbill combinations that Four Roses produce) exceeding the expectation of a £25 whiskey. The last whisky of the night had a nose of tar, liniment, crushed ferns, wet gravel, green wood, sea air, lemon peel, gummi fruit and new rope, with some sweet fruitiness emerging as it sat in the glass. To taste there was TCP, sweet peat, more gravel and fern, forest floor and a big hit of alcohol. A splash of water calmed down the storm of flavours a bit and brought out a bit of a floral note. It finished with lingering sour wood and syrupy edges, as well as a bit of a burn at full-strength. 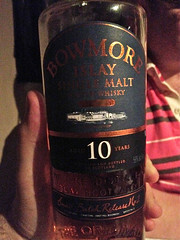 This was a whisky that I was waiting for Tim to pull out, as he’s been bigging it up at work since it appeared – Bowmore Tempest Batch 2. This one breached the £40 limit, although with batch 3 out since last year supplies are now drying up and it’s getting hard to find. Batch 4 was also announced at Whisky Live Paris this year and Bowmore have just started distributing it in the USA, although under the name Doras Mor as someone else had beaten them to Tempest, so if you can find a bottle of batch 2 then now is the time to grab it before it disappears. As is often the case when Mr Forbes is involved, the ‘last’ whisky wasn’t the last, and he pulled out another bottle that he’d brought along from his stash. On the nose it had crushed sea-shells, brine, sea-washed pebbles, honeysuckle, lightly tarred ropes, butter toffee and pine. To taste it was quite hot, as well as sweet and oily, with salt (not that there is any salt in whisky…), pineapple cubes, black pepper, bark, salty butter and lots of fruit. It finished long, with more pepper, juniper, tubigrips, brine and lingering sweet wood. 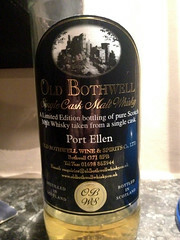 The label came off to show that this was a slightly different interpretation of the phrase ‘Bang for your buck’ – it was a Old Bothwell Port Ellen 1983, bottled by an independent that pretty much specialises in releasing whiskies from closed Port Ellen. This specific bottling (Cask #230, 28 years old) has now risen in price to about £250 due to it being almost sold out, but new releases come in at about £170. 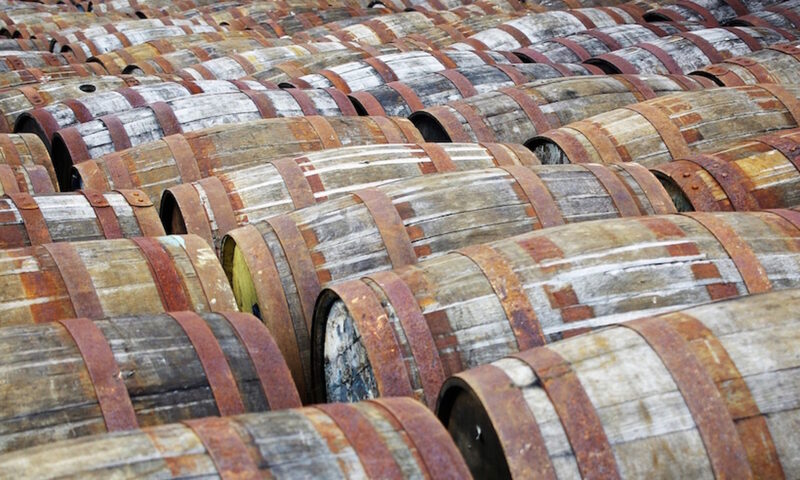 That may not sound particularly cheap, but in terms of PE it very much is – the new yearly official release from Diageo will be appearing within the month with a price tag of £600, double last year’s, and will probably be changing hands at auction for considerably more within weeks. Port Ellen has a cult status for a variety of reasons, but one is that it tastes nice and if you’re looking for a bottle you can do a lot worse than grabbing an Old Bothwell release.